Happy Monday! Hope everyone had a lovely weekend. I thought we'd kick the week off with a little roundup. 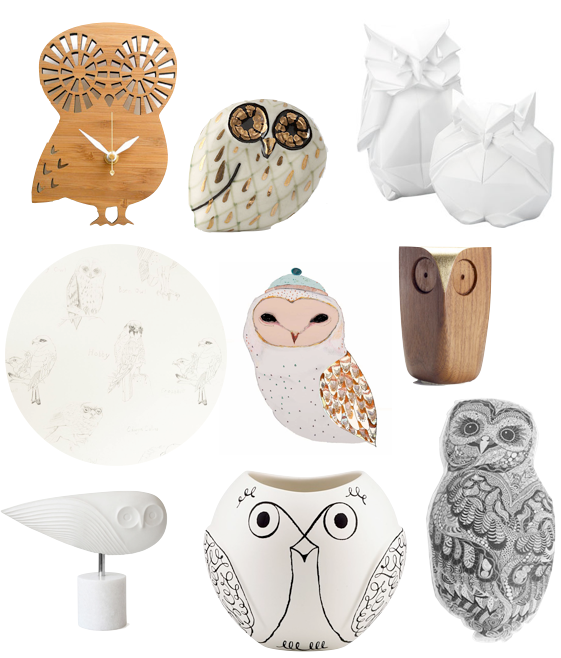 I know owls were a huge trend that is probably on its way out, but I'm still in love with them. Probably something to do with the fact that my Mamaw's house has always been completely covered in them. They make me all nostalgic and fuzzy feeling :) Here are a few of my current favorites for big or little people. Check out my roundup of lions for little ones here. I've been spying a little owl in Homegoods. Wonder if he's still there.